Do you ever feel like you’ll never know everything you should know? It’s not the same as stuff you need to know, or even something you’d like to know just because I’m curious. As in, I should know a dozen different ways from my apartment to work. But I need to know how the defroster works on my car. TIP: Don’t turn on the AC button at the same time. And I’d like to know why the guy in the huge pick-up truck insists on texting while doing 80 mph when it’s snowing and the roads are a mess. TIP: He’s a twit. Stay out of his way. The same can be said for everything having to do with making quilts. I should know it all but I need to know how to thread a needle – hand and machine – and I need to know how to keep my fingers out of the way of my rotary cutter. I’d like to know more about English Paper Piecing. TIP: Take a class. Meet Katy Jones. When it comes to what I know about sewing and making quilts, I learned most of it by experience, trial and error – especially that last part, observation and little bits of information I’ve picked up along the way. I’ve read lots and lots of books and taken classes, and I ask a lot of questions of people who know more than I do. I’ve learned that what works for others doesn’t always work for me, and vice versa. And I’ve learned that for all the stuff I know, I can always know more… because I really don’t know that much. I also learn by trying to find answers to questions I’m asked. If I don’t know, I want to find out. So we’re going to make a trade here – I’m going to share some of the things I’ve learned over the years, especially some of the quirky little tips, and you’re going to help me learn about those things I don’t already know but should. I’ve already started making a list but what have I forgotten? Yes, ¼” seam allowance and that whole “scant” thing is there, as is pre-washing, shrinking, etc. Rotary rulers and cutters – you are cleaning them, right? That seam trick, variously called collapsing, popping and spinning, depending on whom you’re chatting with – and clipping seams. It’s on there. Starching and sizing? Done. Binding – width, seams and corners. Squaring up a quilt? Crosswise vs. lengthwise – why it’s important to know the difference. Seam allowance, pressing and a whole slew of other “old wives’ tales” that really need to be cast aside post-haste. What do you want to add to my list? Since I said would trade, I’ll go first. I heard about this from Lissa, who heard about it from Amy Ellis. 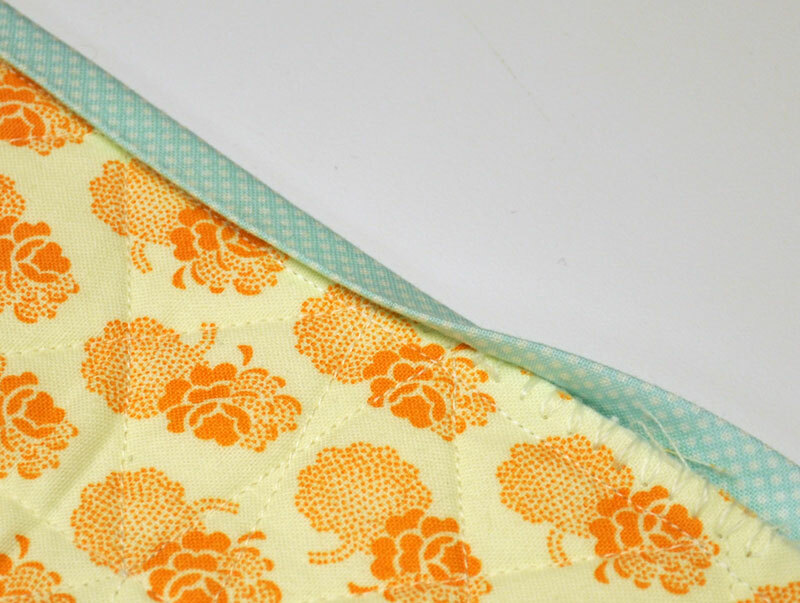 TIP: Use fusible thread to adhere a binding before it gets hand- or machine-stitched down. First, attach your binding to the quilt as you normally would. 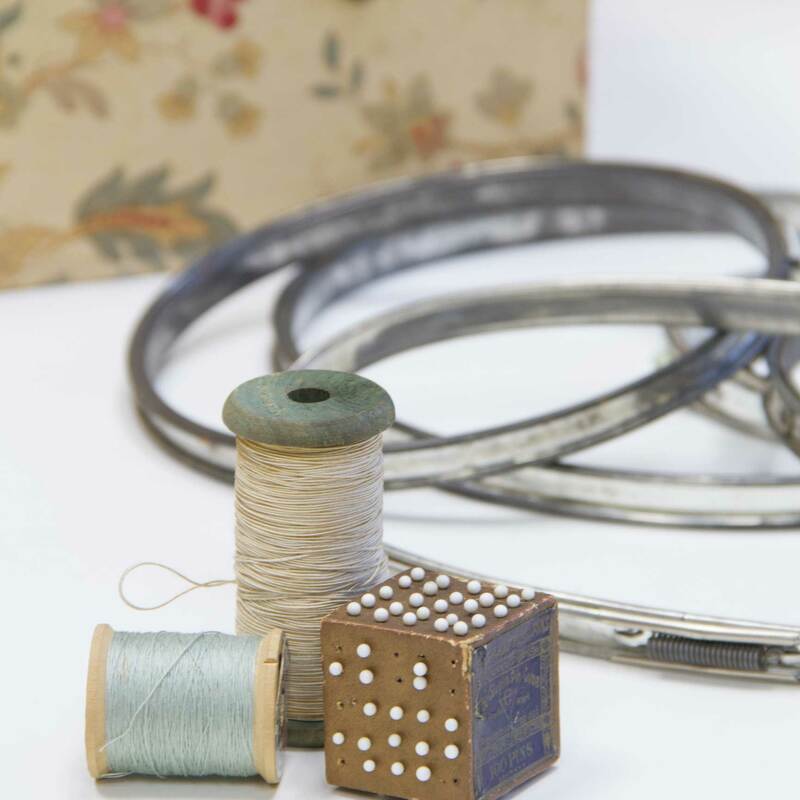 Wind the fusible thread onto the bobbin of your machine using the bobbin winder – do not run it through your machine as the texture of the thread and the tension of the machine can create some problems. I ran across several articles that all suggest not winding the bobbin more than halfway. Since the reasoning made sense and I wasn’t going to need much thread, that’s what I did. 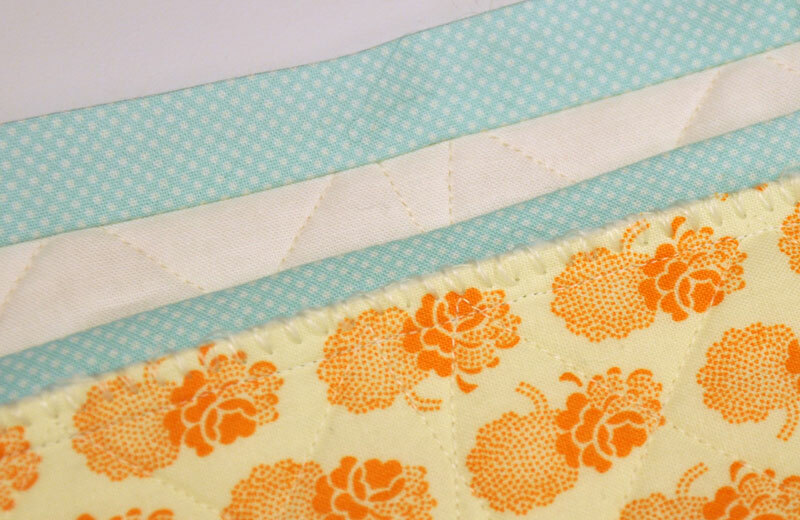 With the fusible thread in the bobbin only, use a zig-zag stitch to sew through all three layers of fabric in the seam allowance of your binding. Zig-zagging around the mitered corner was easily done, I stitched right up to the fold-seam then turned the corner and continued stitching. I know… it’s hard to see but that’s the white fusible thread on the white background of the backing. Fold the binding to the back and press it in place. Voila! The binding is adhered to the backing but the edge is still loose. If you were machine stitching the binding, this could easily be applied either front-to-back or back-to-front. No pins. No clips. Pretty cool. But now I have a different problem… what am I going to do with all my boxes of binding clips? Ask anyone who knows me… I have a lot of them. Sounds like a great tip but I love binding clips! I’ll buy some from you!! So, I’ve never cleaned my rotary rulers or cutters………..What should I know? thanks for all the tips– the binding tip actually isn’t needed in my opinion – more work – the clips work just fine – but we all have tips to pass on don’t they – I don’t take the ones that give you more work though 🙂 yes the guy texting at 80 mph in snow needs to have his phone taken away from him! Are you getting used to Texas? Sorry, I will never give up my clips – always looking for more. If not for doing binding by hand what would I do while my husband watches yet another basketball game on tv? As for hints – I always bring my machine for its “annual checkup” but neglected to think about my walking foot and the foot pedal – amazing how much carpet dust was in there. Collapsing, popping, spinning … add twirling to your list! That’s what I call it. The basic how-to I need is squaring/straightening the leading edge of a piece of fabric before cutting my pieces. I use the two-ruler method but I’ve never seen anyone else do that. Do you use the lines on your cutting mat to line up the top, or something else? I realized I didn’t know what to do one time when I got to a sew-in and had only packed one ruler. The ladies suggested 169 different ways to do it, none of which felt comfortable to me. Another one — long pieces for borders. I rip. (There’s a back story.) At this same sew-in, I was admonished for doing this. Do you cut — or , gasp, rip those long pieces? Loving this blog and learning so much! I’m the old dog who won’t give up *trying* to learn new things! This is fantastic. I’ll be reading each and every one. One question. When the fusible thread ‘fuses’ does it make a hard edge? Thanks for this. ‘Tips on inside and outside points, backbasting, clipping, thread size and color, etc. Tip. Don’t get rid of your clips. I use them to hold fabric as I baste it around Paper Pieces. This way I can see that my fabric is even on all sides before I take a holding stitch onto fabric at each fold. Thank you for another great posting. Thanks for the tip. I’ll tell mom. I don’t do binding. :-). Great binding tip but my binding clips and I have become very good friends. We’ll just clip along together. BTW, the “twit” left his brother(s) here Ugh! Thanks for your posts–I LOVE reading them!! I always make knots by winding the end of the thread around my index finger a couple of times, then rolling it off the index finger with my thumb. Slide your fingers down the thread and a knot forms. Hide the knot under the binding, then take a small stitch. Run the thread under the binding (or into the batting, but not through to the front) to the location for the next stitch. Welcome to the DFW metroplex! The drivers here are crazy aggressive. The best thing to do is just stay to the right and let them by to have their accidents farther up the road and away from you. Uh Oh, clean my rulers? Oops! I greatly appreciate the tip on binding and always look forward to your posts. Thank you. This is a great idea! Thanks so much. I love my Wonder Clips but this is a good tip if I need to machine stitch my binding, thanks for sharing! What I really love to know: if you need just a small amount fabric from a FQ how do you cut it? Let’s say you need two 2.5″ squares, one 2″x 3.5″ strip and perhaps one 4″ square. Are you just cutting these pieces or do you cut strips and then add the pieces you don’t need right now to your scrap bin? Doesn’t seem like you would need to have the fusible thread in the bobbin. You could just sew on the back side and the zigzags would be fusible. Also, it wasn’t clear to me whether you’re still hand-stitching after fusing. If so, I agree that clips would be faster (and probably cheaper). I think you need to retread the article as I think you misunderstood a key point. Do not put the fusible through the top of the machine as it can be problematic to your machine, therefore you have to run it through the bobbin. As for the final stitching you could either hand stitch or machine stitch. 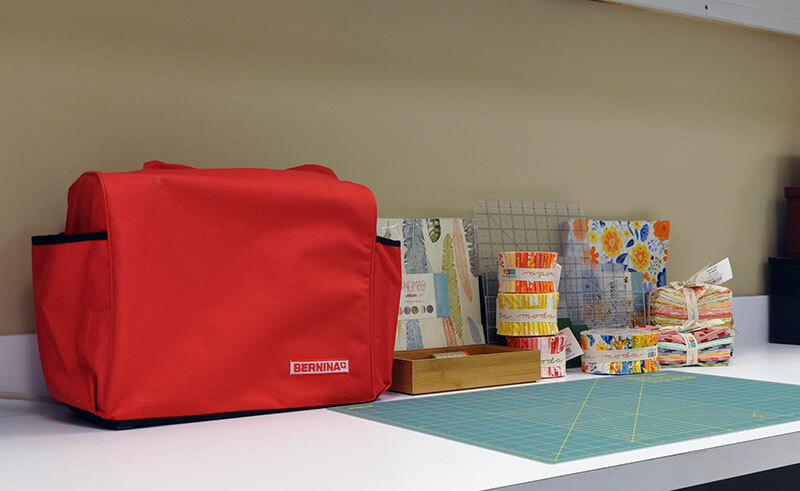 The fusible is just so you do not have to use pins or binding clips to secure the binding for stitching. Hope that helps, Carrie May be able to clarify better but that is my understanding of her article. Thank you for explaining this. I too was not sure on that point. Now it makes sense to me. I think it would make the binding lay flatter for hand stitching. I have been using washable glue to do this. Just yesterday I was advised to soak my cutting mat. What huh? News to me, so please clarify that one. That is really cool – bet it works great on curves….. Looking forward to all your tips, but I don’t see me doing that binding on all my quilts, it would be very time consuming and probably more expensive in the long run, but I would do the dots of Roxanne’s or Elmer’s (if I weren’t such a klutz at applying). I like using the clips, but only a few – use pins also, but only about 5 or 6 and just move them along as I do. I’m sure this old dog can learn a few things!! I can’t wait to try the fusible zig zag! Call me purist, call me chintzy, I’ve never purchased clips, I pin along as I sew but I like the sound of this. I have three (beginner) tips- First, designate one box/shelf/hidey-hole as “This Didn’t Work As Planned”, and remember our mothers told us there would be days like this. Neatly, quietly fold up the mess and promptly forget about it. You will find a life for this project at another time. Done. It didn’t happen. Move on. Second, a tip for anyone who may be thinking about trying quilt as you go…Take a class. If you skip the class, do not try to join your seams on the front side with the joining strips, as it’s possible the strips will not meet in some places and will overlap in others. Mine was a disaster and is temporarily resting in tip #1 cubby. Tip #2 – Stress-free Quilt as You Go. Seams are much more forgiving when all the final joining is done on the back side of quilt! Minus the strips. I piece, sandwich, and quilt each block on a simple machine using a one way print for the back side, pieced checkerboard style. Next, rows, as in already-quilted rows, are sewn together RST. Finally, flip rows over and tuck the joining generous back seams, trimming any overlap and whipping these under and down by hand. It goes fast. And when it’s done, it’s done. With the one directional fabric, the eye is drawn more to the checkerboard backing and a less to slightly wonky seam here or there. I was concerned how the cut batting would fare through washing. They do fine. Tip #3 – Keep multiple projects going, all burners lowmedium simmer. Keeps me sewing, keeps my interest up & prevents me from getting bogged down with one that may take a decade to finish to a t. Some just work up faster than others. The more projects we have, the more fabric we Need. That ‘s important, whether we are Beginner, Advanced Beginner or Ninja Quilter. 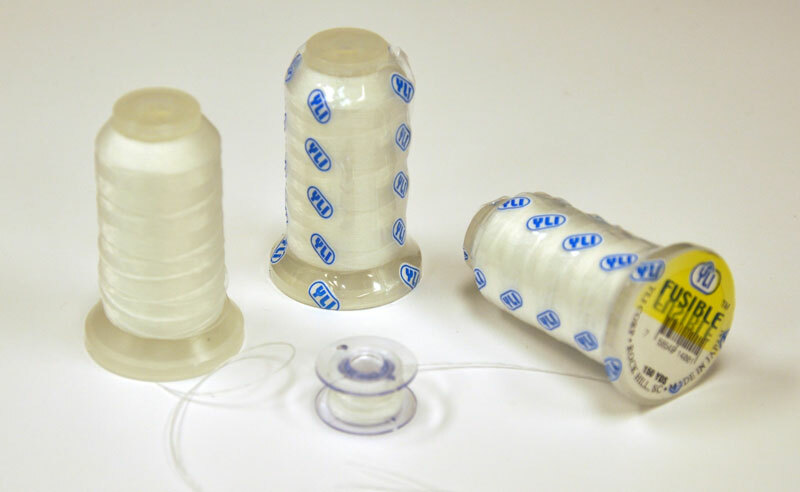 Tip: about fusible and invisible thread, beware… they can wind themselves around unknown inner parts of your lower bobbin area, and cause lots of damage. I know, I have references. Measure Three times and cut once! Save yourself some grief! The only tip I can think of at the moment is to use a teaspoon to close safety pins when basting a quilt. Oh, and to keep a 1″ x 6″ ruler by your sewing machine so you can quickly and easily check that block pieces are coming out at the right size! Where would someone purchase fusiable thead? That is a new one to me… Any way, English paper piecing can be done various ways, m friend , the expert, prefers to stamp the shape on her fabric instead of using the papers. Seems to work quite well for her, Give it a try .. So glad you’re here chatting with us!